They say space is full of stuff of all sorts — Death Stars, teapots orbiting the Sun and even a red roadster. Sheo. explores some of the most distant corners of the outer space to find an interstellar… fish. 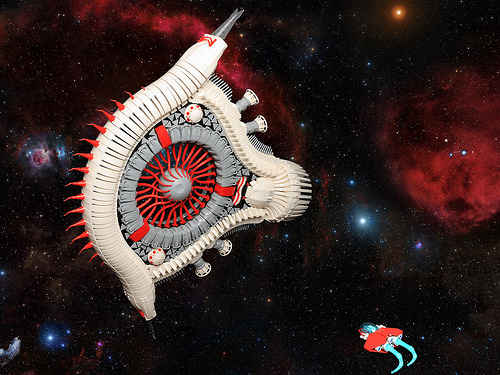 Yes, he calls his latest LEGO creation a giant space fish, and it’s hard to argue since we have no idea what else can be floating up there! The real highlight of the creation is, of course, a gray sphere right in the middle of the body secured with some crazy amount of red tentacles. Does this creature look intimidating? Absolutely. But can a lonely traveller escape its attraction..?